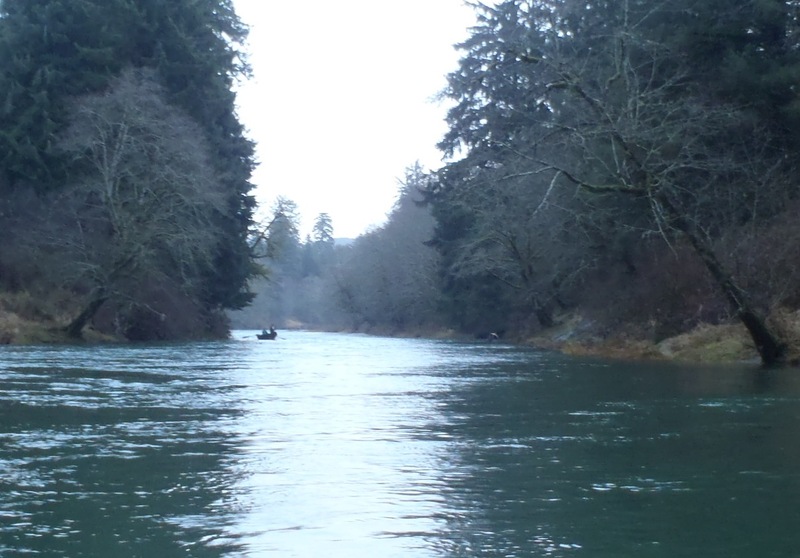 The 2011-12 winter steelhead season has so far been a roller coaster of extremes. Up until around Christmas, we had barely a trace of precipitation, leading to low water conditions more typical of summer flows. Fishing fluctuated from slow to excellent and back again, depending on your timing. 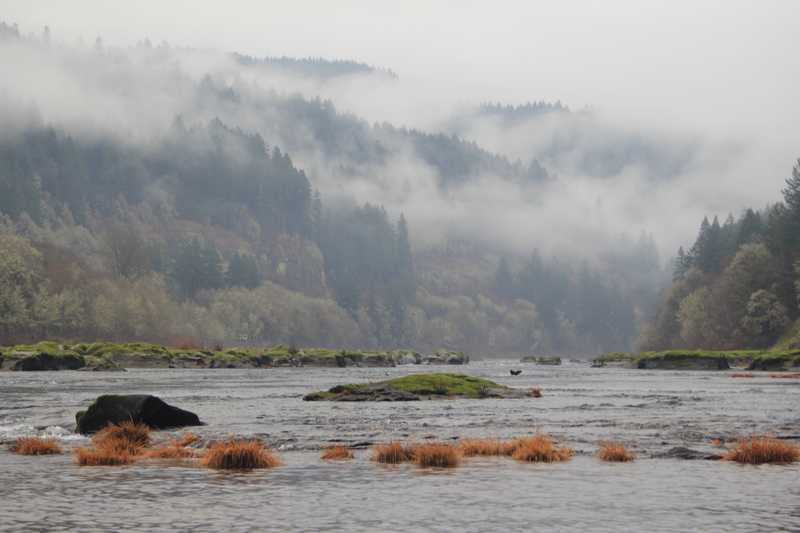 But it was cool to be able to swing fish some of our larger rivers under such manageable conditions. Just after Christmas, a big system came ashore and rivers went from summer low to flood stage in the span of 48 hours. When the storm abated, the waters dropped and soon were in perfect shape up and down the coast. Since that storm we’ve been back to low water again, as little to no rain has fallen for weeks. All that changes tonight as a series of heavy storms are predicted to come ashore through the next week. Rivers will rise again and anglers will watch carefully for that perfect window where the waters go from brown to green and a fresh batch of chrome is in the house. 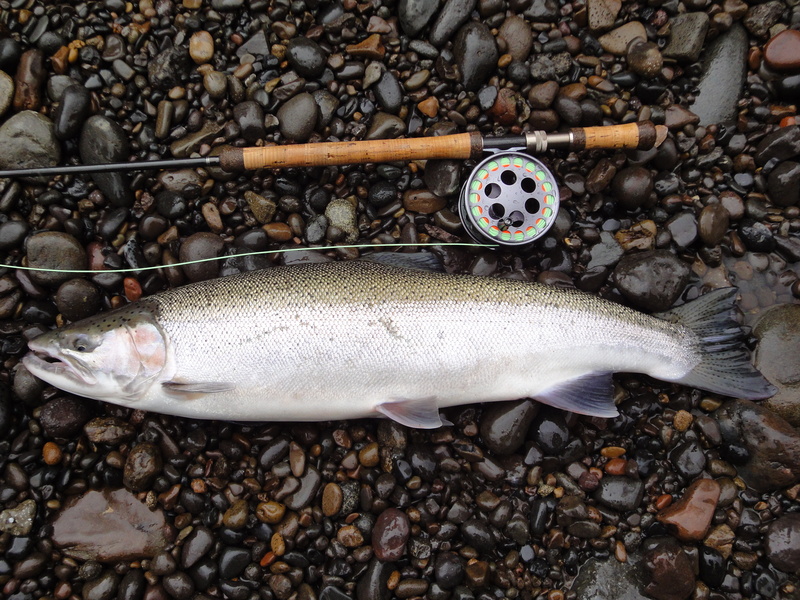 Despite the unusual run of dry weather and the return of the usual yo-yo-ing river levels of late, the one constant has been the fish. 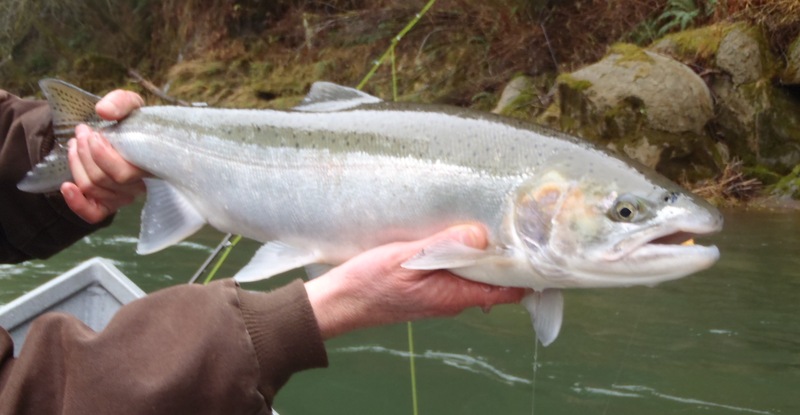 The winter steelhead are in.